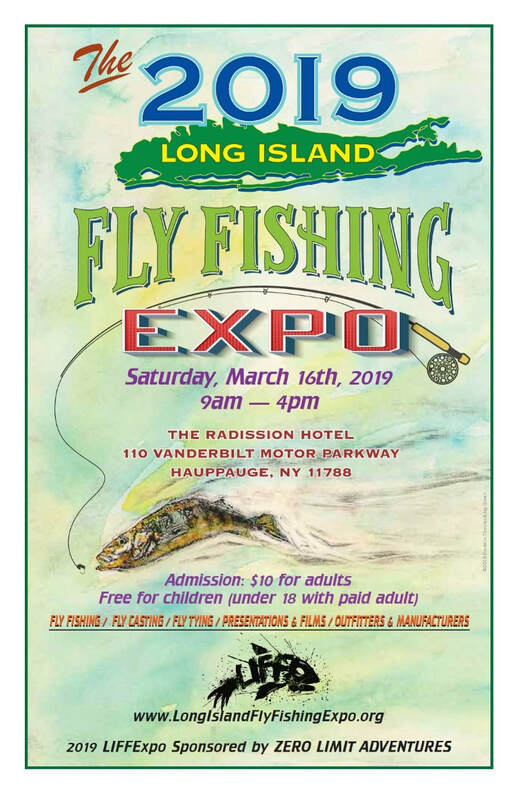 The Long Island Fly Fishing Expo was created to promote the sport of fly fishing among the residents of the greater Long Island/NY Metro area. LIFFExpo is a forum for providing information on opportunities to partake in this sport, locally and within the greater regional area. When feasible LIFFExpo, Ltd. will be making donations to local fly fishing charitable organizations (i.e. Casting for Recovery, Project Healing Waters, etc.). The Long Island Fly Fishing Expo is the only annual event to showcase the art, science and sport behind fly fishing in the area. A wonderful way to learn about fly fishing for the first time, hone your skills, learn about fly tying, hear from the professionals, or just spend the afternoon with the family. Please drop us a line and we'll get back to you. You may also contact us if interested in participating in the Expo.